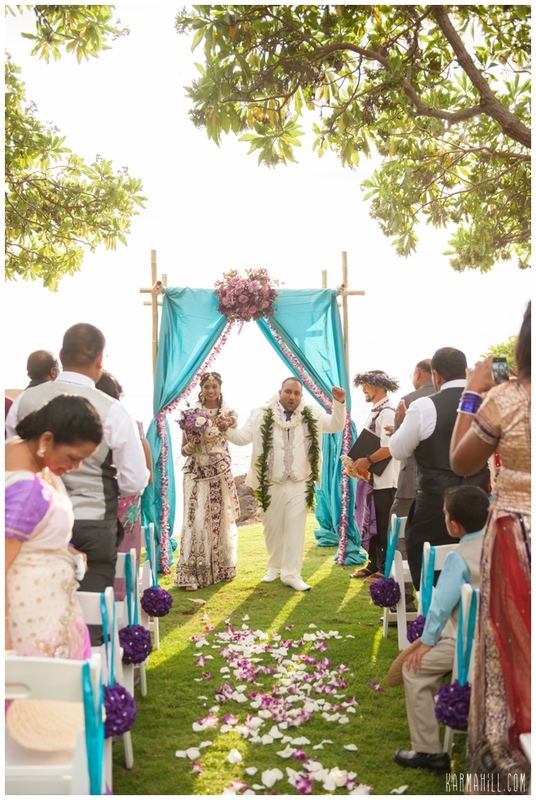 Sandhya & Advin brought their beautiful Indian decor and personal touches all the way to Maui to get married in this tropical paradise! 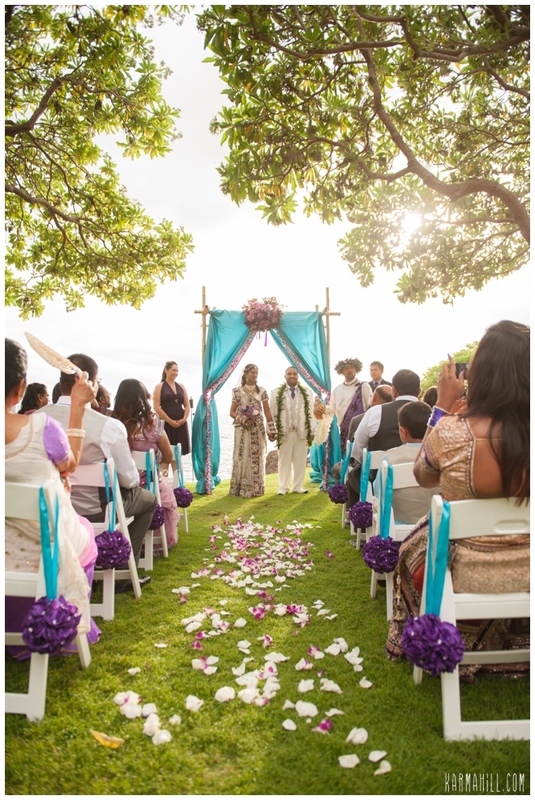 Their Maui wedding took place at Kukahiko Estate last week and was officiated by Reverend Kimo Kirkman. 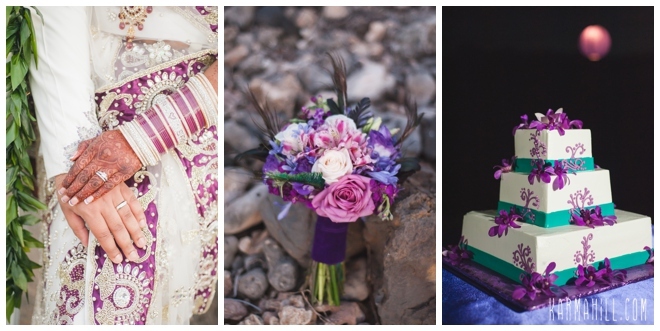 The purple and teal peacock inspired decorations were absolutely gorgeous! 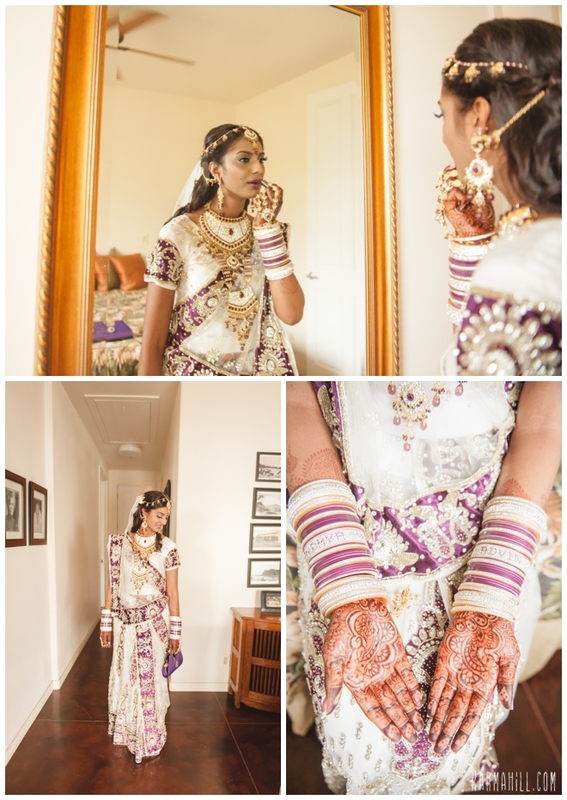 We were in awe of Sandhya's Indian saree and all of her beautiful gold and purple jewelry. 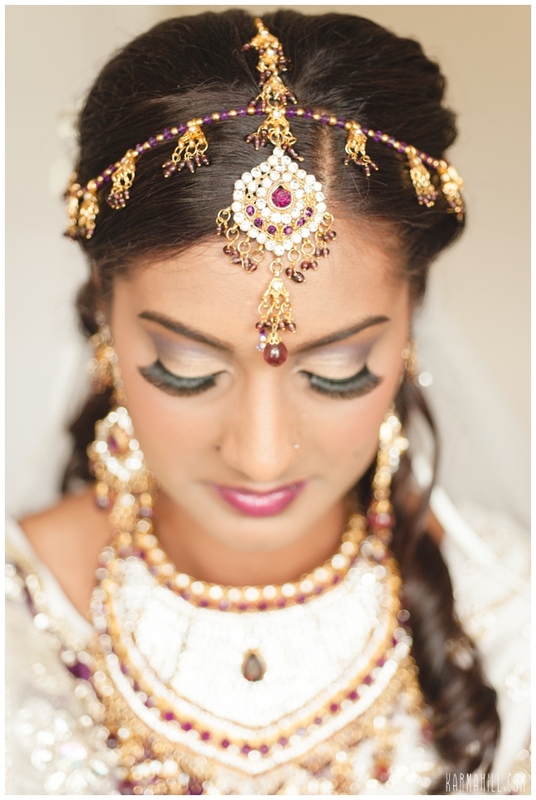 Adiel from Salon 253 did an absolutely amazing job on her makeup! 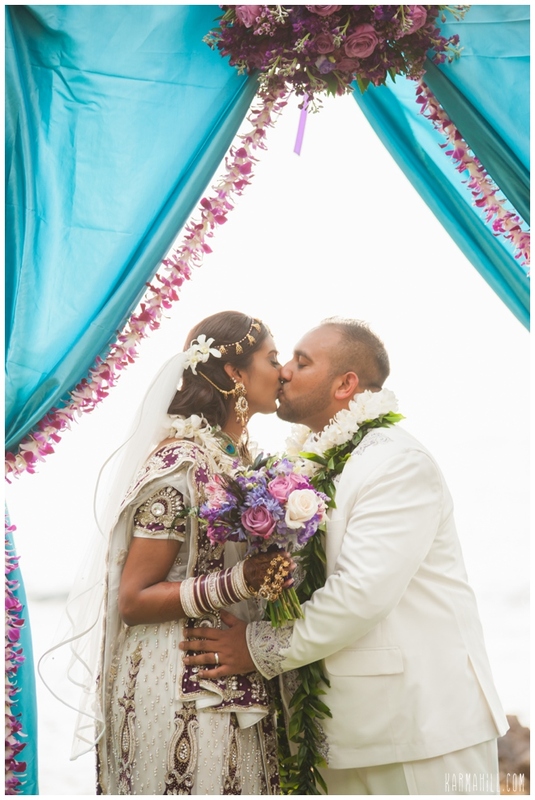 Staff photograher Naomi stole Sandhya & Advin away from the group for a brief romantic moment by the sea. 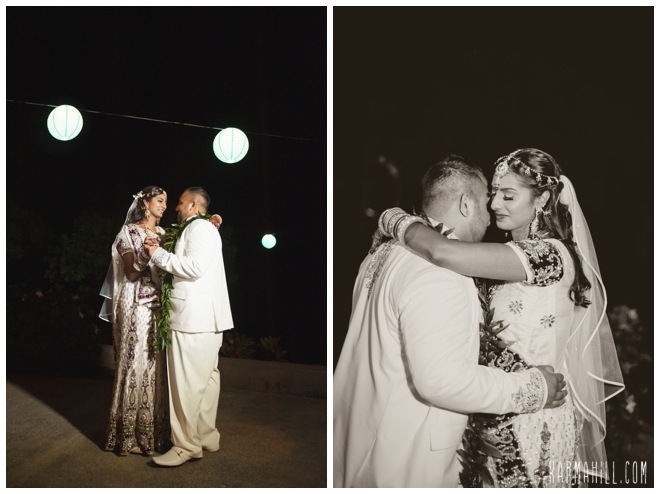 They enjoyed the rest of the evening with close friends and family at the estate where they ate & danced the night away. 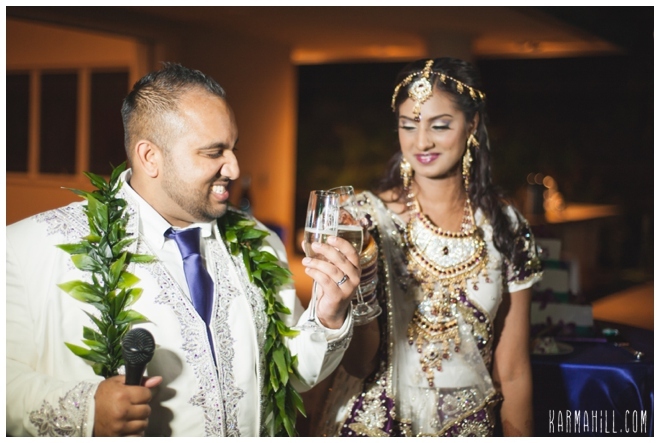 They also enjoyed a wonderful fire knife and hula show put on by Manutea Nui E.
Simple Maui Wedding to be a part of your very special day! 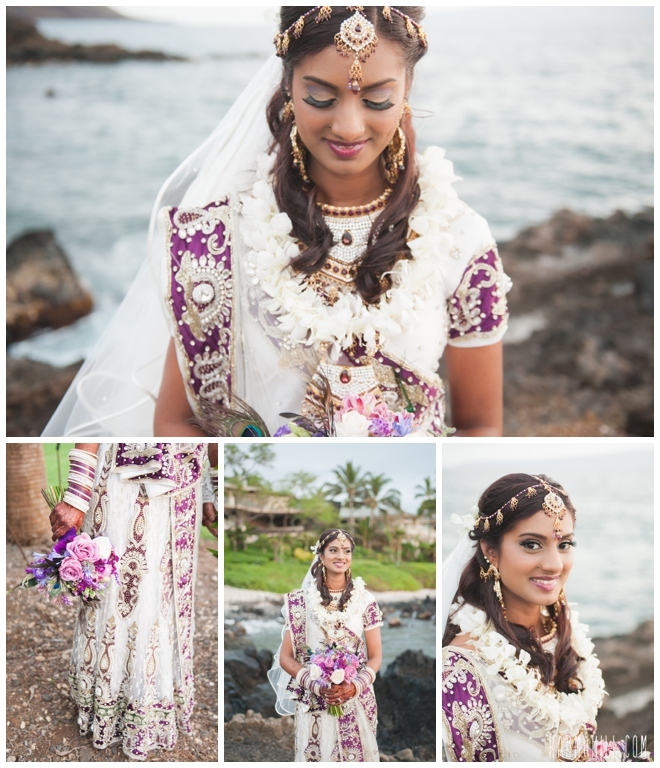 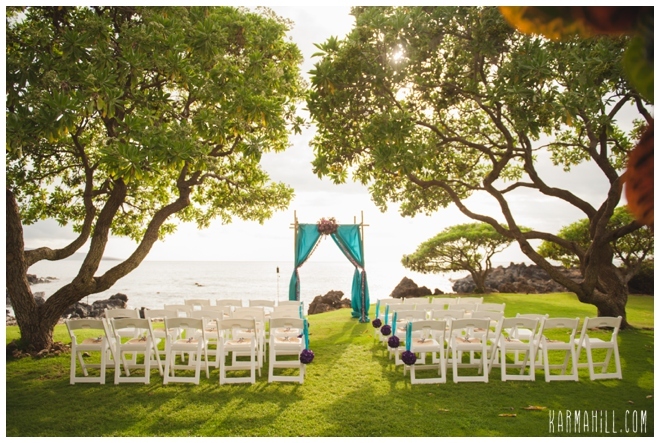 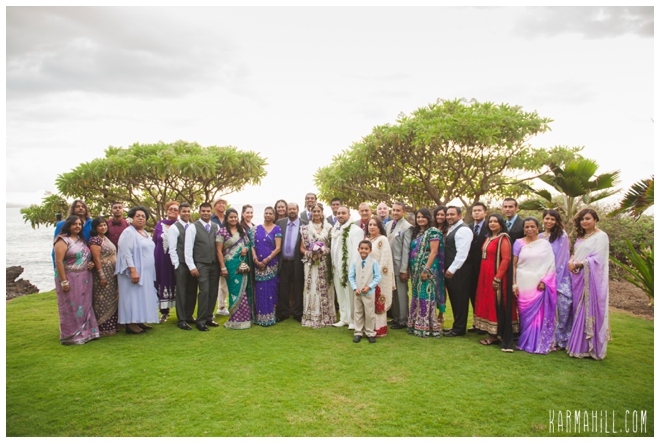 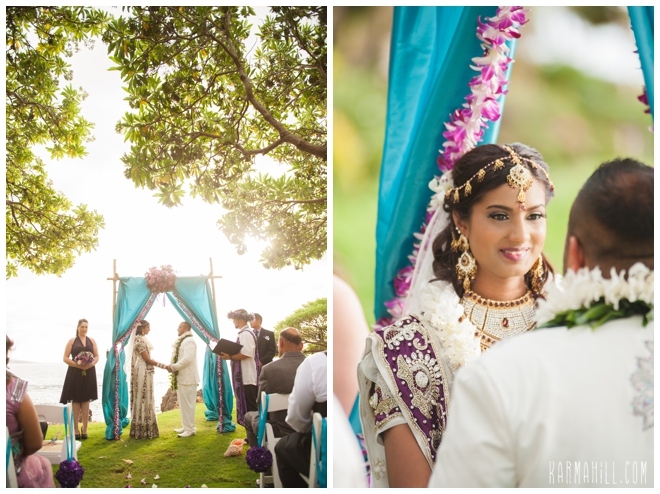 We are so in love with all the gorgeous Indian sarees at this Maui Wedding! 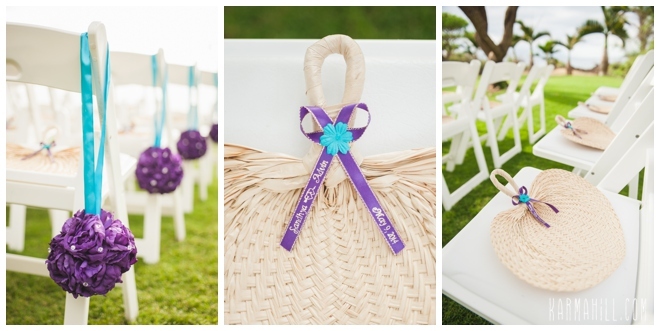 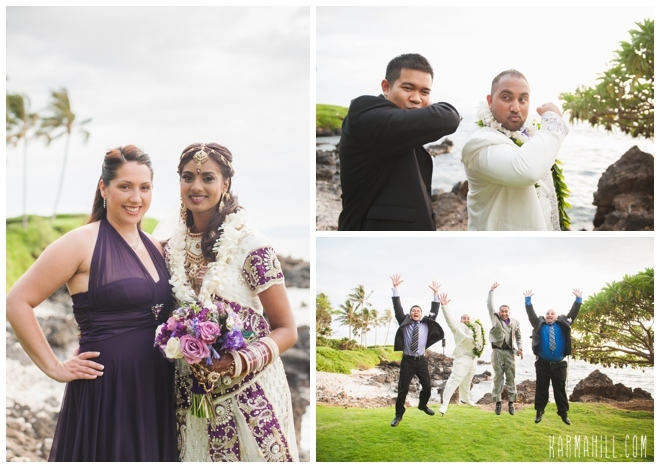 Check out our last Maui Wedding with Maurice & Trina!